I'm back from vacation (well, at least in body, if not in spirit, quit yet), hence the lack of updates over the last 10 days or so. 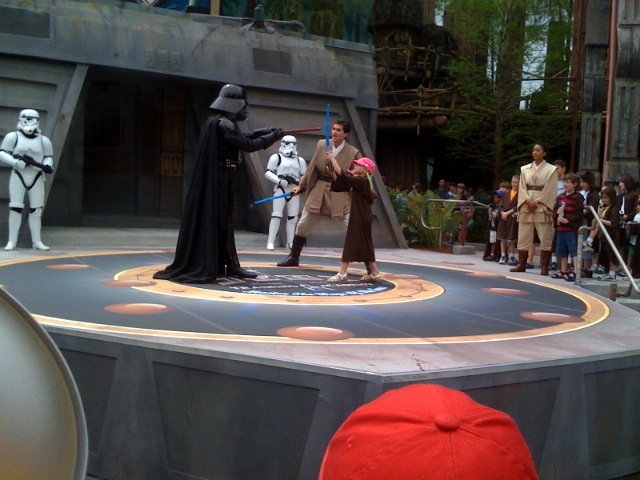 Anyway, one quick item from vacation as my 8-year-old daughter became a Padawan (a Jedi apprentice for those of you not "in the know" on these things) and faced down Darth Vader. 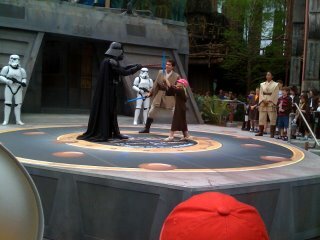 That's her in the "pink helmet" being encouraged by her Jedi Master.